Not all updates have to introduce a big feature to make a big difference. 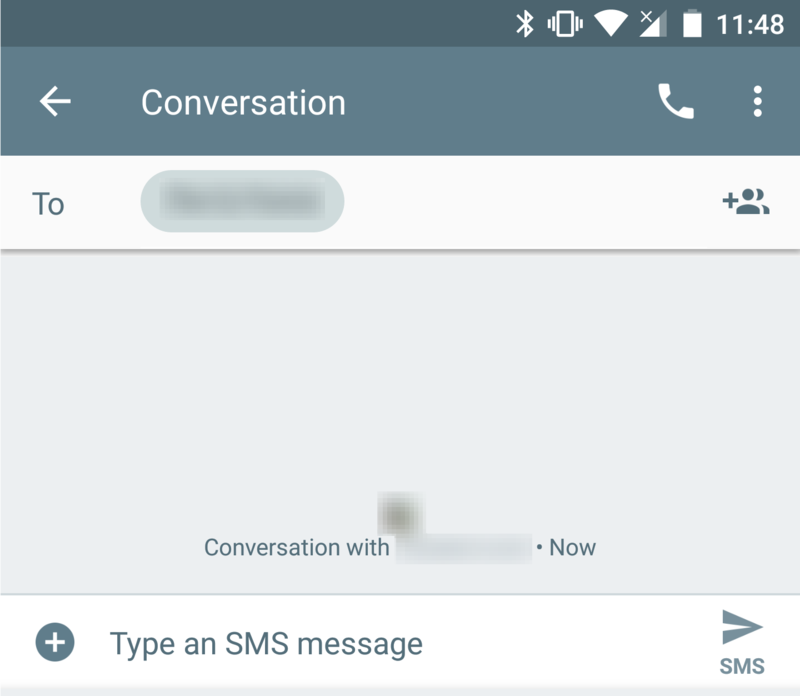 The latest version of Android Messages demonstrates just that. It includes a couple of relatively small changes to the way group messaging is set up and should be a little faster for most people, and might remove some confusion for a few. The screen for creating a new conversation in earlier versions was geared in favor of group chats. To be more specific, tapping on a contact would put them into a list of recipients and allowed users to keep adding more people until the user pressed a button to finalize the list and begin typing messages. In the latest version, this workflow has been revised so the first tap on a contact immediately opens up a screen to begin your dialog. Beginning a group chat can now be done in one of a few ways. The easiest method involves the use of a new button titled "Start group conversation" at the top of the contact picker. The button disappears if tapped and the screen switches modes to allow multiple selections, exactly like it did in previous versions. 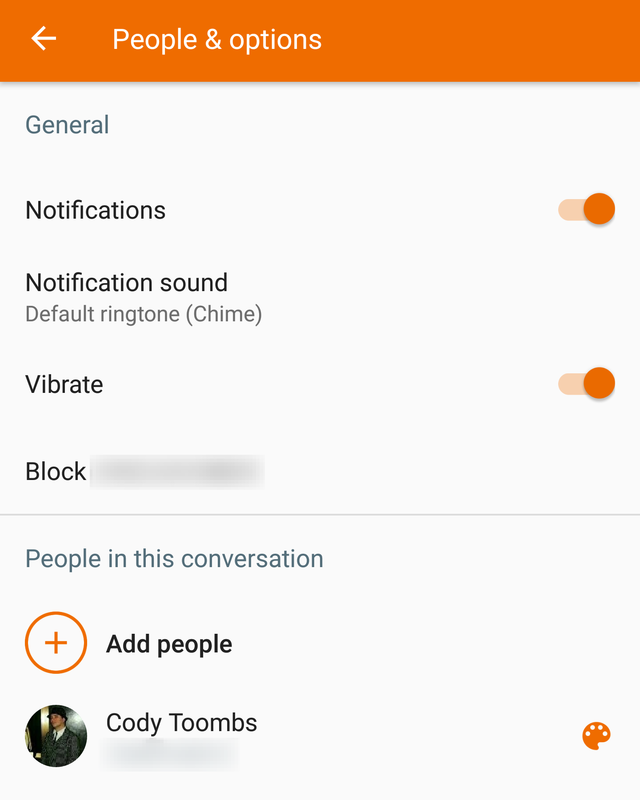 Brand new conversations can also be turned into groups, or members can be added, with a new button to the far right of the recipient list. 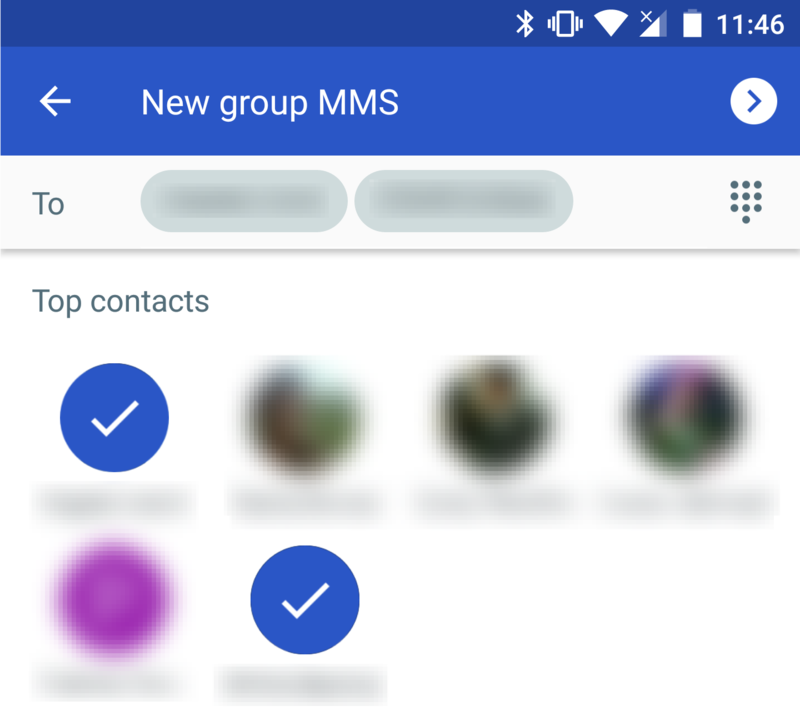 This is handy if you intended to start a group chat but tapped on a contact in the initial screen without setting it to a group first. However, once the first message has been sent in this conversation, the button will disappear. 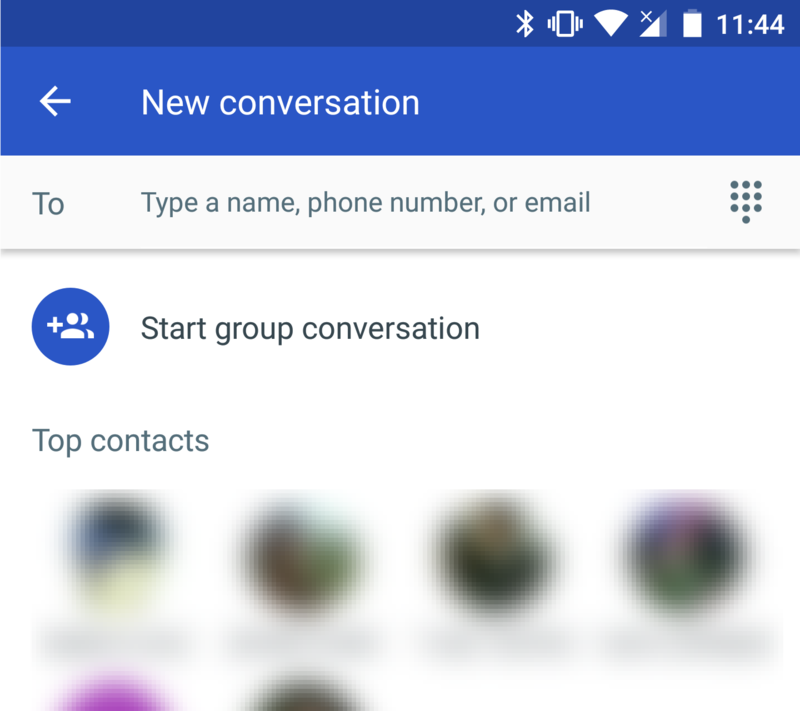 Finally, you can also take a slightly longer route and add new members to any conversation, regardless of how many contacts were already in the group or if any messages have been sent. Simply pick People & options from the overflow menu, then look to the bottom where the recipient list now includes an option to add people. 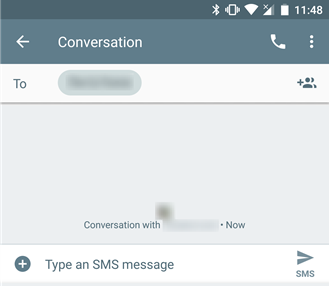 While mostly small, these changes remove a tap from starting a message with a single contact, and should be a little less confusing for some users (e.g. most grandparents) that weren't necessarily aware that a button has to be tapped to complete the list of recipients. Group chats require very little extra attention, and it feels like a good idea to have a really thin barrier preventing a group conversation from beginning accidentally.